All conference papers were peer reviewed in full, and accepted appear below in alphabetical order. Contact president@afsaap.org.au for further information. All conference abstracts were peer reviewed. Aubeeluck, Hurryvansh. Monash University – Institutional Governance and Economic Growth, with special reference to Sub-Saharan Africa. Boakye, Lawrence G. The University of Sydney – Success factors for Agriculture-Based International Development (ID) Projects: Insights from Ghana for Africa. Budge, Tim. Deakin University – Paulo and Saul visit the compounds: shared learning for community activists across time and continents. Counsel, Graeme. Melbourne University – The music archives of Guinea. Nationalism and its representation under Sékou Touré. Dobson, Susan. University of South Australia – Can hybridized statebuilding create a sustainable post-conflict state? Lessons learned from Rwanda’s post-conflict statebuilding. Gbanie, Solomon Peter. University of New South Wales at Australian Defence Force Academy – ‘The diamond of Western Area is land’: Narratives of land use and land cover change in post-war Sierra Leone. Hawker, Geoffrey. 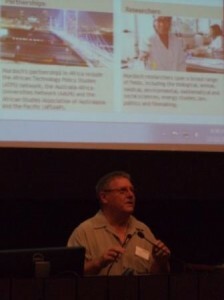 Macquarie University – The Extractive Industries Transparency Initiative: African Lessons for Australia. Kenny, Christina. Australian National University – The ‘liberatory value of indigenous institutions’? : Cultural practice as resistance in the British Colony of Kenya. Kilimo, Miriam. Dartmouth College, Hanover, NH, USA – Western Discourse in Legal Approaches: A History of Female Circumcision in Kenya. Lucas, David and Edgar, Barbara. 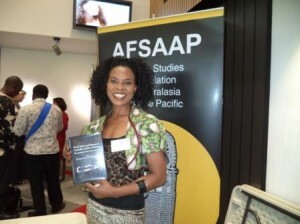 Australian Demographic and Social Research Institute, Australian National University – Africans in Australia 2011: Their Demography and Human Capital. McNamara, Thomas. University of Melbourne – The Creation and Implications of Rural Malawian Understandings of Donors and Development – The Impacts of Development Tourism. Mondoh, George Nyongesa. University of Adelaide – Major factors preventing release of Bt-Maize variety in Kenya. Moore, Sue. Australian Department of Foreign Affairs and Trade, Addis Ababa, Ethiopia – Resources and the ‘Renaissance’: Australian Government support for the Africa Mining Vision. Mosanako, Seamogano. 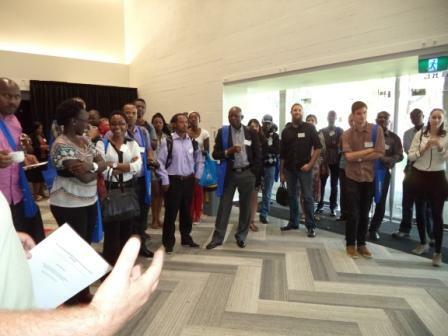 The University of Queensland and the University of Botswana – Media and development in Botswana: An audience’s perspective. Mugambwa, John – Murdoch University – Should the Government Expropriate Private Land for Investors in Uganda? Mungwini, Pascah. University of South Africa – African Renaissance, Coloniality and the Quest for a Polycentric Global Epistemology. Okunola, Abiodun. University of Adelaide – Towards sustainable youths’ engagement with agriculture in Africa. Robinson, David Alexander. Edith Cowan University – Gramsci in Africa: The Relevance of Gramscian Concept to a History of Mozambique. 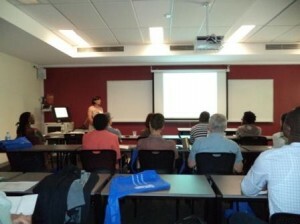 Shilla, Elibariki H. Australian National University – Terrestrial Large Mammals As Indicator Species For Climate Change Effects In Tanzania: Implications For Policy. Udah, Hyacinth. Griffith University – The African Diaspora in Australia and African Renaissance: Harnessing Diaspora Resources and Encouraging Diaspora Investments and Linkages with Africa. This year, the conference theme is ‘African Renaissance and Australia’. In this 50th year of celebration of the formation of the founding of the Organisation of African Unity, (subsequently transformed into the African Union) the AFSAAP Conference Organising Committee invites papers that draw inspiration from the theme of the Golden Jubilee celebration of “Pan-Africanism and African Renaissance” with the additional opportunity to reflect on Australia’s role in the African Renaissance. The African Renaissance concept celebrates and examines a wide expanse of issues related to Africa’s capacity to re-define and rebuild the African continent through developing and controlling the continent’s rich social, economic and political resources. The Australia-focus is intended to steer a greater understanding of Australian historical links with African nations; a discussion of the ways in which these histories shape the present and the contexts through which Australia might credibly join with pan-African institutions to inspire and assert an African “reawakening”.